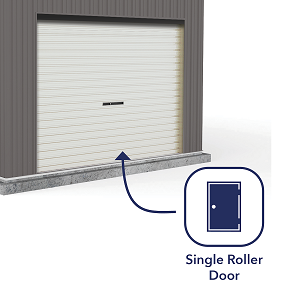 Side Door Yes - this model has a Personal Access (PA) Door 750mm W - supplied as standard. Finishes Available: Colorbond: Classic Cream / Pale Eucalypt / Paperbark / Woodland Grey. 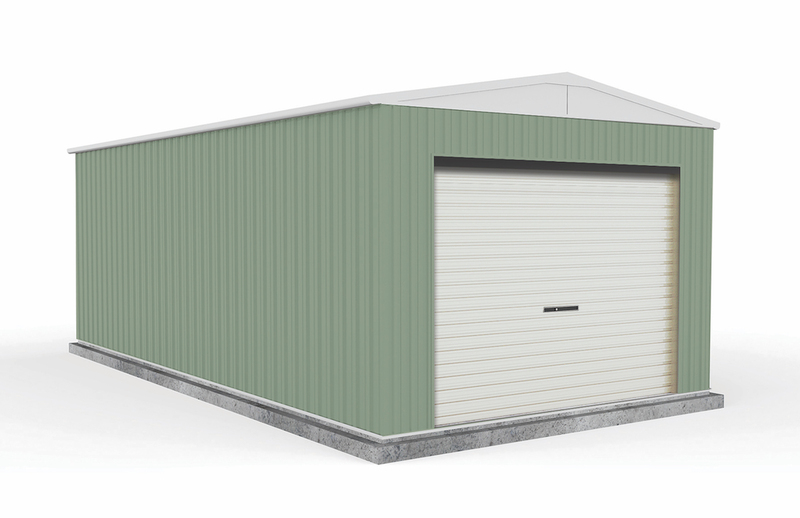 The popular Absco range of Garages is your choice of large shed buildings. 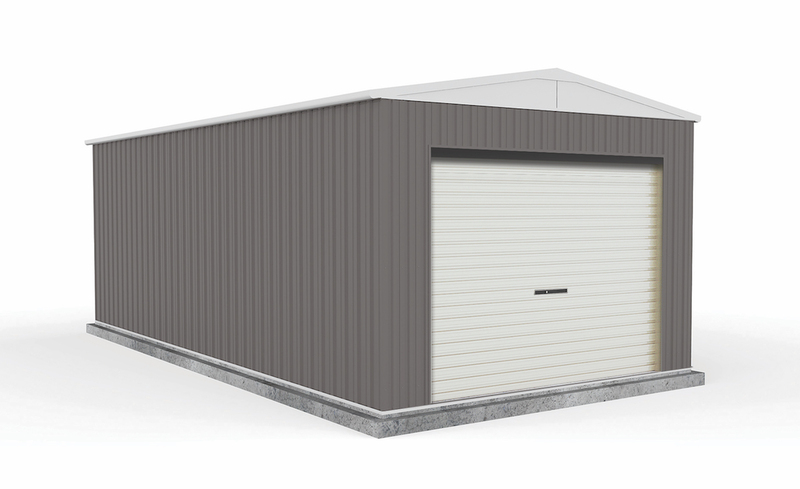 From car accommodation, storage, hobby spaces, and many other applications and uses, these Absco garages tick all the boxes. 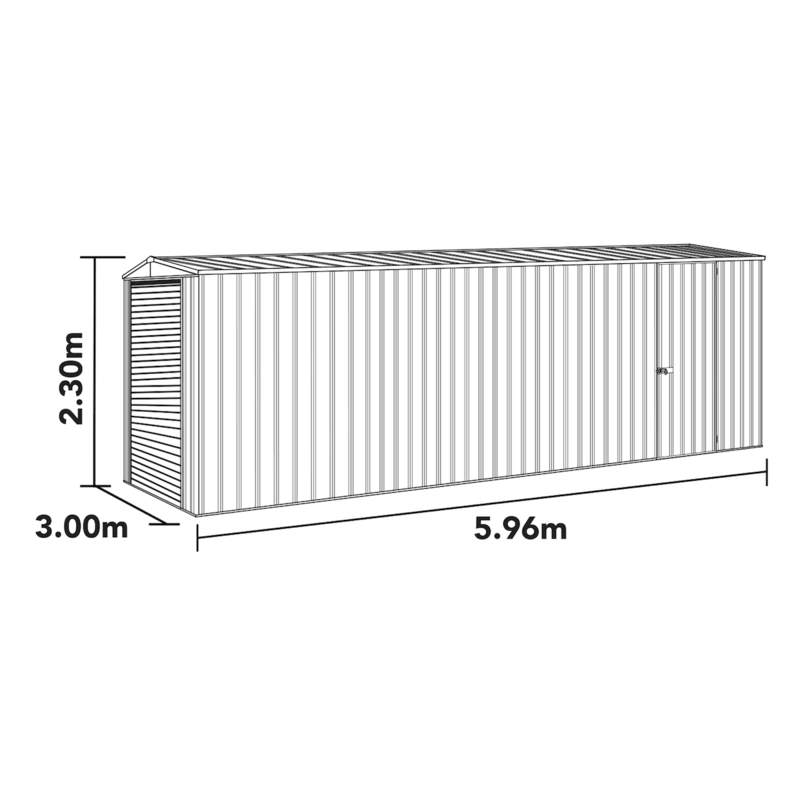 With maintenance free, all steel construction – these Absco garages are available in full size & compact versions, for single car accommodation or double car accommodation. 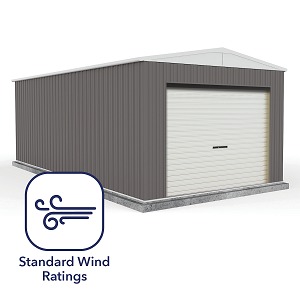 There are many models to suit every need – roller doors, sectional flexi doors, & hinged barn doors. 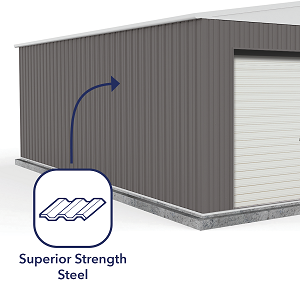 The garages are manufactured from Bluescope (BHP Australia) Zinclaume® & Colorbond® steel (with a comprehensive thirty (30) year written manufacturer’s warranty), with some new models in the Eco-Nomy range that are made with an imported steel roof & wall sheeting product, of similar gauge – at a budget price point. 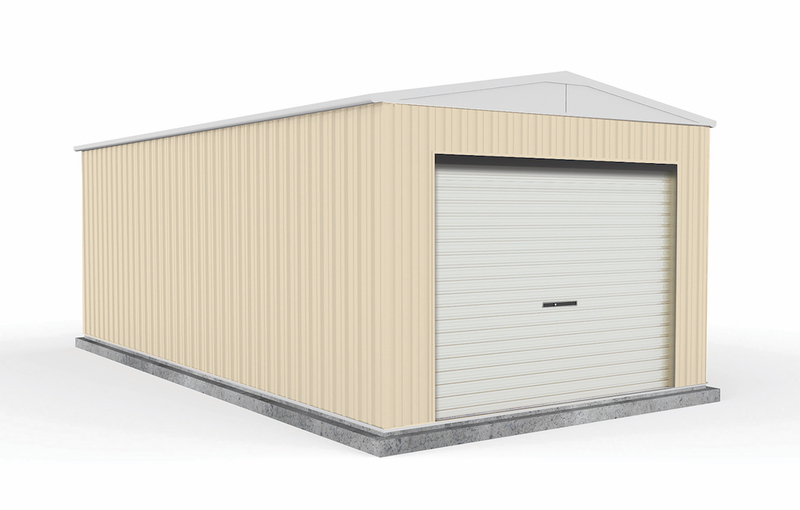 Choices galore – there is an Absco garage model just right for you. 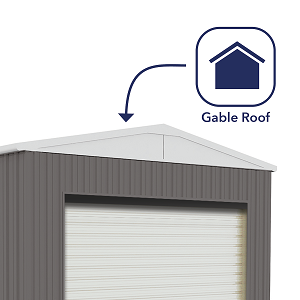 All garages are complete with gutters & downpipes. 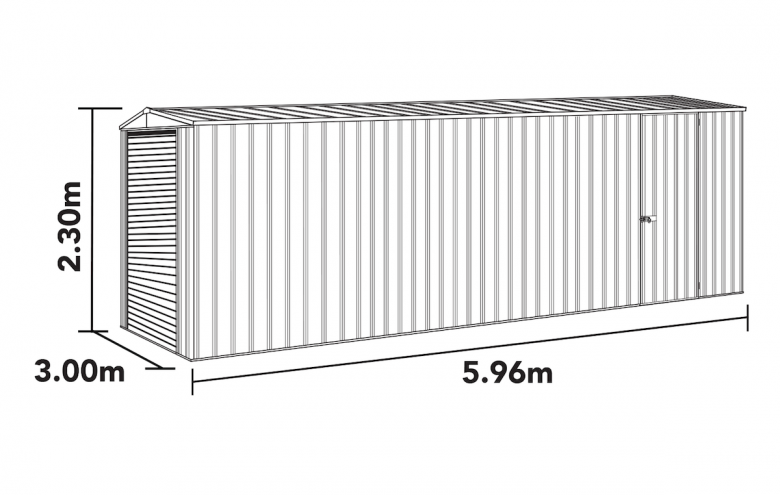 Engineers plans & associated documentation required for submission to your local authority (where applicable), are available prior to purchase. 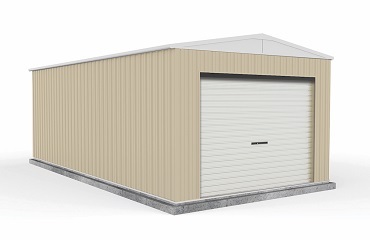 Please note that these garages cannot be modified or custom made to order to different size & configurations that is offered on this web site. 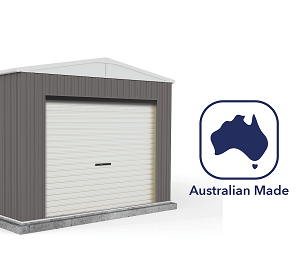 Save time, save money – make an Absco garage, proudly offered to you by Discountsheds.com.au – your new garage & large shed option. Bolt Down Anchor Kit (12) x2 +$118(Set Of 12 : - Brackets, Nuts & Bolts, + Dynabolts) Once selected - multiple quantities can be set in the "Order Summary" section below.